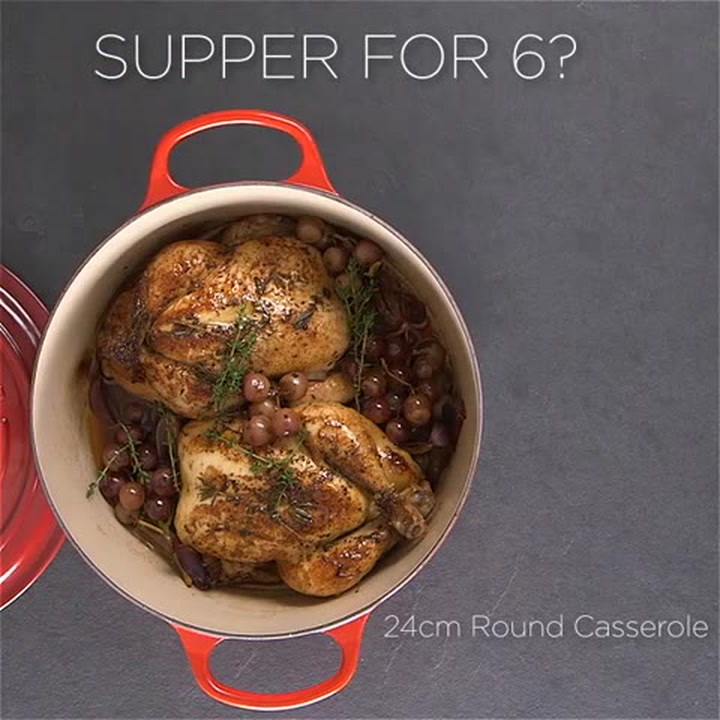 The versatile Buffet Casserole goes from the oven to the table for serving beautifully, while the cast iron retains the heat and keeps the food warm throughout the meal. The shallow, wide base of this dynamic pot allows maximum contact between the food and the heat, resulting in perfect paellas and delicious sauces. View more from Easy Entertaining, Casseroles & Pots, Le Creuset Signature Casseroles. Isn't this just a beauty. It is a bit heavy (but obviously that is expected of cast iron). It works well and cleans easily. Love it! I've honestly fallen in love with cooking in this casserole. These products are made for a lifetime of great dishes. Haven't bought a Le Creuset cast iron item for 35yrs! Decided to treat myself to a retirement gift. Have wanted a Buffet Casserole for some time, and am absolutely thrilled with mine. Will be using it all the time as it is so versatile!